If you ever read a mutual fund prospectus closely, you'll almost always come across a passage detailing the fund's right to pay all or partial redemption not through cash but, rather, through something known as redemption in kind or in-kind redemption, especially if the fund manager believes the redemption request would be disruptive or otherwise inconvenient. So, what is a redemption in kind? It's one of those things that most investors don't think about until they're faced with it, often at the worst possible time. As stated in Mutual Funds 101, a mutual fund is a type of company or trust fund, depending upon how it is structured, that pools money together from thousands, or in some cases, millions, of individual and institutional investors, hires an asset management company to invest the money according to a particular investment mandate, and seeks to bring economies of scale and convenience to smaller investors who otherwise wouldn't be able to afford to replicate the portfolio. 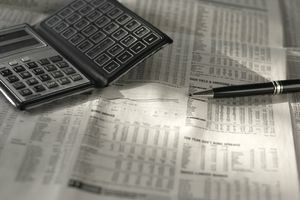 In the case of a mutual fund that is enjoying net inflows of capital (more dollars coming into the fund than going out), redemption requests (when a fund owner sells his or her shares and wants cash back from the fund) can be funded with inflows from other, newer investors without having to sell off part of the portfolio. In cases where there are net outflows, investments must be sold to raise money, sometimes triggering embedded gains. The board of directors or board of trustees, depending upon how the mutual fund is structured, votes to put the mutual fund into a runoff. Essentially, a special trust fund is created, the assets are transferred to it, and over an extended period of time, perhaps even lasting many years, the assets are sold under (what the trustees hope) are more favorable conditions and terms. This recently happened with a previously well-respected firm called Third Avenue, which had sponsored a so-called "Focused Credit" fund that specialized in junk bonds. The junk bond market began to seize and collapse. Investor redemption requests kept coming in as the fund lost money. Finally, on December 9th, 2015, it announced that it was not going to honor redemption requests but, instead, put the $789 million of quoted assets shown on the fund's balance sheet (down from $3 billion last year) into a runoff. No one has a clue how long it will take for the shareholders to get their money back, nor how much they will receive. So-called "Redemption in Kind" or "In-Kind Redemption" distributions are made. When this happens, instead of receiving cash, the mutual fund hands over the underlying assets on some sort of pro-rata basis to the investor. For example, the largest traditional mutual fund in the United States at the moment is the Vanguard 500 Index Fund, which seeks to replicate the S&P 500. If some remote-probability event were to come to fruition that caused the portfolio managers to fear that honoring redemptions would harm long-term owners who remained with the fund, it could hand over shares of each of the underlying 505 companies that make up the portfolio at the moment to those wanting to part ways. The investor would have to open a brokerage account somewhere and have stock deposited, then do with it what they will. As of December 28th, 2015 prior to the market open, this meant 18.8% of their assets would arrive in shares of ten companies -- Apple, Alphabet, Microsoft, Exxon Mobil, General Electric, Johnson & Johnson, Wells Fargo, Amazon.com, Berkshire Hathaway, and JPMorgan Chase & Co.
What makes the latter situation potentially worse is that the portfolio managers may decide to "drain off", for lack of a better term, the securities with the lowest cost basis -- think of shares of Microsoft, Apple, Coca-Cola, or Hershey bought 25+ years ago sitting in some of the major index funds -- to reduce the taxation burden of investors sticking with the fund while shafting the person departing with a bigger bill to the Federal, state, and potentially local governments. Of course, this won't matter if you hold your mutual funds within a Roth IRA or other tax shelter. What's the solution? My general rule is to avoid things that pay for long-term assets (junk bonds) with short-term funding (open-ended mutual fund structures that allow investors to sell their shares and create cash drains within a single trading day). Otherwise, about the best you are going to do is be aware that you may someday have to deal with one of these outcomes so you can watch what is going on with your fund (or funds) of choice when you read the annual report each year. It's simply part of the risk that comes from investing in pooled structures such as mutual funds.